Kisi bhi Dead mobile phone ko repair krna bahut easy hai. Dead mobile phone ko repair kaise kare. Dead mobile phone repair in Hindi. Aaj ke lesson me sikhenge dead Apple iPhone 6 Plus Smartphone ko repair kaise kare. Dead mobile phone ka matlab hota hai Mobile phone me full charge battery lage hone ke bad bhi mobile phone switch ON nahi hona ya mobile phone me koi harkat nahi hona. Phone ke dead hone ke pichhe kai kaaran ho sakte hai. Is Smartphone ke dead hone ki fault kahin reasons se ho skti hai. 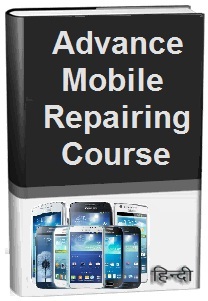 Smartphone repairing course in hindi me is dead phone ko kaise solve kare, Aaiye sikjte hai. 1. Sabse pahle phone ki battery ke volt ko Multimeter se chack kare, Agar battery 3.7 Volt charge nahi hai to battery ko battery booster or charger se full charge krke lagaye. Ya kisi chalte mobile phone ki battery lagaye or check kare, or check kare phone ON ho raha ya nahi. 2. Phone ki PCB Circuit Board par solder huye battery connector or battery point ko scratch or clean kare. 3. Battery Connector ki pins ko Multimeter se check kare, Phone Dead Fault solve na ho to Battery connector ko resold kare. 4. Phone ki pcb ko achhi trah se wash kare or water damage se mobile phone dead huya hai to mobile phone pcb wash or clean krne ke bad SMD Rework Station se heat de. 5. Phone me battery lagakar charging par chadhaye, Phone ki screen par ‘Battery Charging’ Icon aata hai ya nahi check kare. Agar phone battery charging icon aa raha hai or phone switch ON nahi ho raha hai to phone ke ON/OFF Switch Button ko check kare. 6. Agar ON/OFF Switch par 2.5. se 3.5 Volt DC current aa raha hai to Mobile phone me latest version OS Software Install (Flashing) Kare. 7. Agar phone me software flashing nahi ho raha hai or Error aaker rukta hai to 4-5 bar fir try kare. 8. Yadi Software flashing nahi ho raha hai to flash IC ko heat, reball or change krke flashing kare. 9. Phone flashing krne ke bad bhi Switch ON nahi hone par Power IC ko heat, raball or change krke solve kare. 10. Ab dead problem ko solution karne ke liye CPU ko heat, reball or change kare. ON-OFF Switch track ways ko Multimeter se check kare, Resistance, Coil, Capacitor etc. Check krte huye broken track ko found kare or jumper kare. 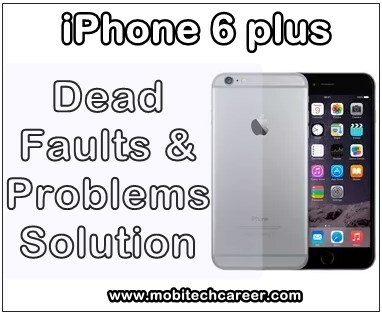 Keywords: mobile, cell phone, iphone repair, smartphone, how to fix, solve, repair dead Apple iPhone 6 Plus phone, not working, not switch on, full dead phone, problems, faults, jumper, solution, kaise kare hindi me, dead phone repairing, steps, tips, guide, notes, video, software, hardware, apps, pdf books, download, in hindi.